Competition rockets are one of YUAA’s longest-running traditions, with past teams competing in either IREC or the Battle of the Rockets competitions. This year’s team looks forward to continuing that tradition and improving upon the results of the previous years. 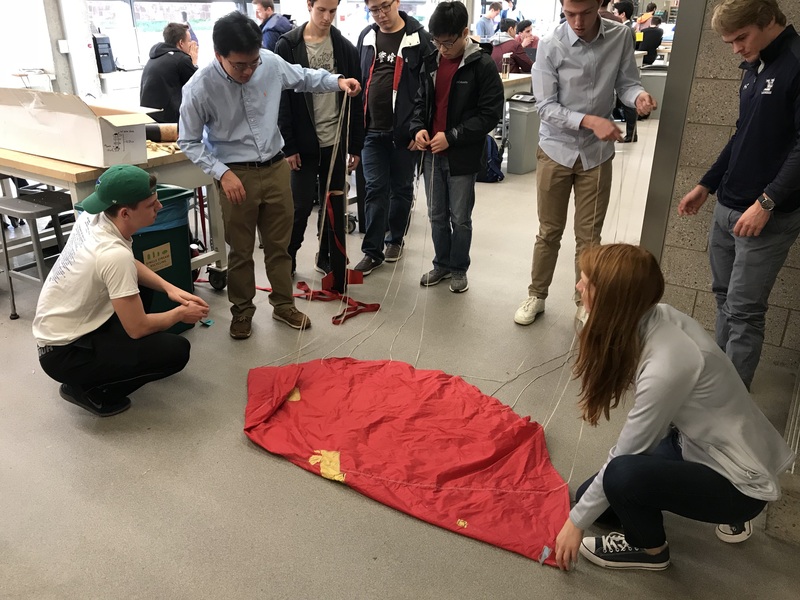 The Rocket Competition team will be design, constructing, and launching a payload-carrying rocket to compete in the annual Intercollegiate Rocket Engineering Competition (IREC), the largest collegiate rocketry event in United States. The team aims to compete in the 10,000 foot altitude division and the payload challenge, creating a payload involving livestream video and telemetry data from the rocket during flight. 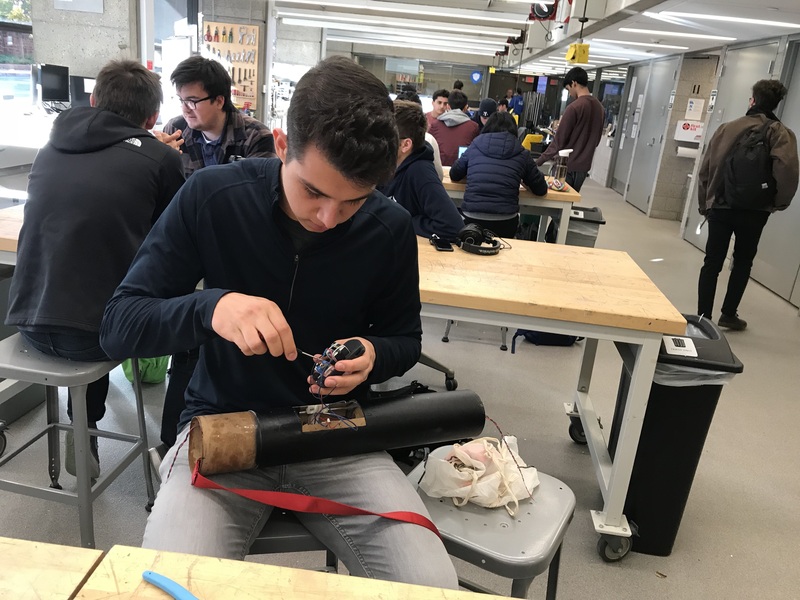 The first two months of the project involved building and launching a certification rocket in order for the team to gain experience in the rocket systems and construction as well as gaining L1 and L2 High Power Rocketry Certification for the project leader. 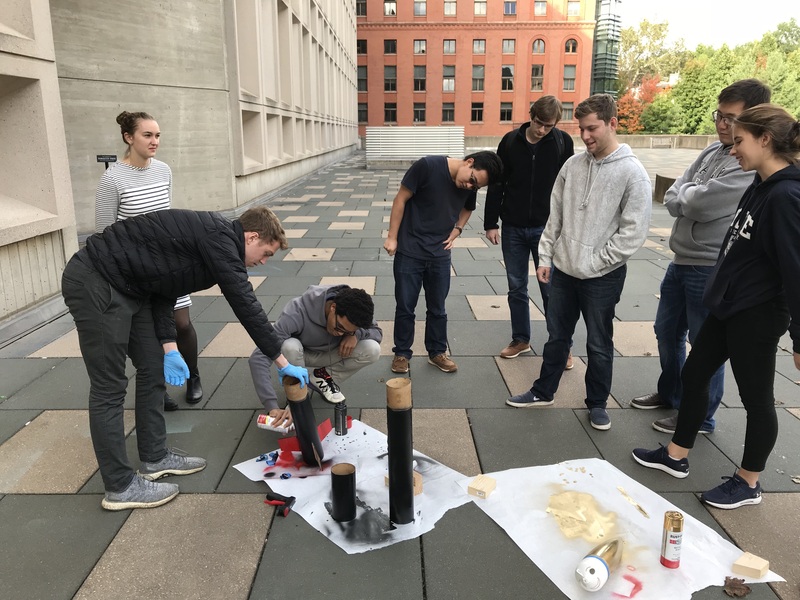 This project offers group members the opportunity to learn about rocket design and behavior, and have better understanding before designing and building the competition rocket. As a mix of both new and returning members, this portion of the project helps to bring the team together and provide a foundation as the project continues. The rest of the year will involve the development and construction of both the payload and the competition rocket. The rocket team is working to create a radio transmission and receiver system to communicate flight information back and forth between the rocket and the base station, as well as livestream video from the rocket to the base station throughout the flight. About the payload, Project Leader Alex Briasco-Stewart said, “The biggest challenge will be making it work. The operating conditions with which everything will have to work are so different than what they are on the ground. We are space constrained, and the only way to test is expensive – we just have to launch.” The team is currently in the design and development stage as they make decisions about how to implement their payload concept and how to best create a rocket to fly and meet the altitude marker. Project Leader Briasco-Stewart is a sophomore in Timothy Dwight College and majoring in Computer Science. About the project, he said, “I think we are doing something with our payload that hasn’t been done before. We know that it’s possible, and we aren’t going out too much on limb, but it is unique and will be really cool when it works.” He has previous experience on the Hybrid Rocket project team from 2017-2018. When explaining why he was excited to lead the Rocket project, he stated, “For us, its a chance to practice more macro scale engineering. Its certainly the largest build heavy project we have, in terms of size and of number of things that have to be functional. It’s less experimental; it allows us to do more and build bigger.” The team is also receiving guidance and leadership from senior advisor Warren Zhang (’19) and senior engineer Alex Hogansen (’20).